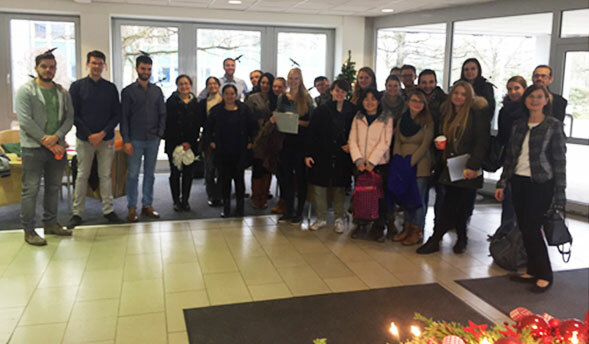 At the 16th of December 2016 the Chair of Agricultural and Food Market Research had organized a daily excursion to the Innovative Retail Laboratory (St. Wendel/Saarland). 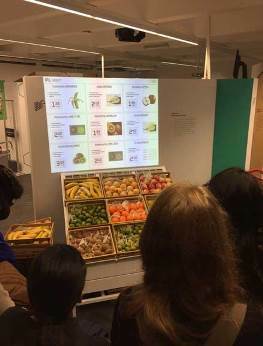 22 Students from the master program “Agricultural and Food Economics” (AFECO) and six Researcher from the Chair were part of the excursion. The Innovative Retail Laboratory (IRL) is an application-related research lab at the German Research Centre for Artificial Intelligence (DFKI), located in the GLOBUS SB-Warenhaus Holding in St. Wendel, Germany. The goal of the IRL is to focus on the specific needs and potentials of future self-service stores. The trip has provided a visionary view of the future of retail. With a fusion of information from different sources the IRL deals with intuitive and natural assistance systems starting from the Search through all phases of purchase up until after sales. 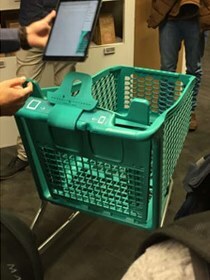 The own personal trusted device like a tablet or a mobil phone is in use to realize and count the products and provide extra information if the customer puts it in the trolly. Cameras find out that the retailer has to refill the shelves and they provide additional Information about the chosen products. 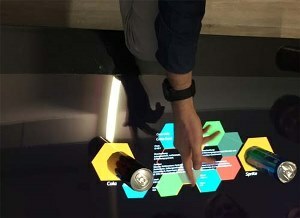 After Sales at Home, a digitalized table recognizes products and provides a lot of information, like the calories, the price and many more. Through this table you also could e.g. rate and rebuy the particular product.